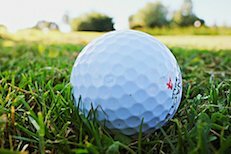 Just a short drive from Eldorado is the Tarrawingee Golf Club which offers a picturesque nine-hole sand scrape golf course with watered fairways. It is open all year round and caters for the low handicapper or the weekend hacker. Modest green fees apply and are paid through an honesty box which houses a receipt book and scorecards. Access to the course is via the Tarrawingee Hall grounds where car parking facilities are available. Players are required to bring their own clubs.